Well, co-authored a book to be more precise. But that is just nitpicking right? I did it! A lifelong dream is fulfilled. Seriously I always dreamed about writing a book as long as I have been reading them. Though admittedly I was dreaming about writing a suspense thriller, not a programming book. But, again, nitpicking. So what’s the book? 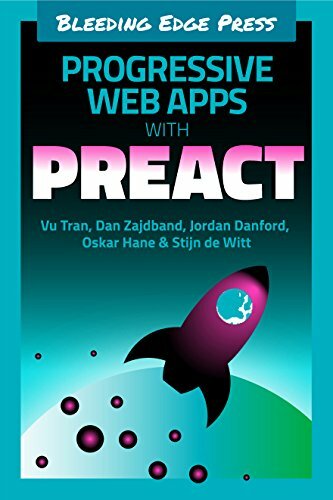 It’s called Progressive Web Apps with Preact and is published by Bleeding Edge Press. You can get a copy for $ 20,-. And don’t you just love the cover art?! ?